Learning to play the piano is not just about learning a new musical instrument. Playing keyboard instruments improves personality and makes people healthier and happier. 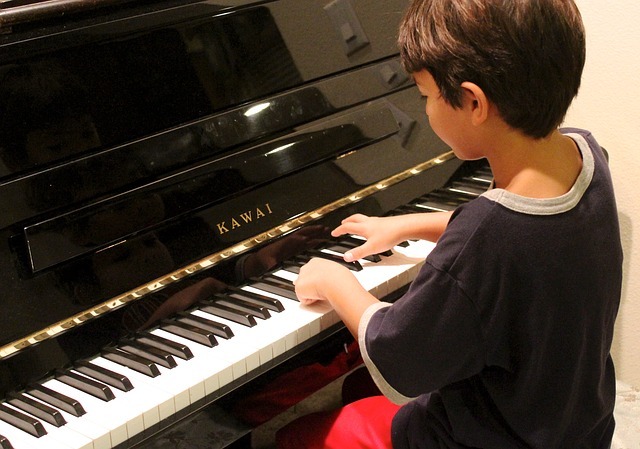 Children taking piano classes benefit more because it gives them an edge at an early age. Playing the piano makes children smarter, improves their learning abilities and makes them better students. Studies have shown that children who learn keyboard instruments like the piano do better at mathematics, science and languages. These children also show superior cognitive development and concentration, which gives them the ability to learn quickly. The positive effect on academic performance is correlated to the number of years spent learning musical instruments. Aural awareness or ear training is the ability to recognize the basic elements of music like pitch, interval, melody, chord and rhythm just by listening to the audio. This is an essential skill for playing musical instruments. Aural awareness is a good exercise for the ears and brain. Learning music improves aural awareness and the ability to listen carefully. This helps children learn better. Children who learn the piano find it easier to learn other instruments and music theory. While playing the piano, children have to read music, use both their hands and listen to what they are playing at the same time. This improves their ability to concentrate on many things simultaneously. This is called split concentration and it improves their ability to multitask. Initially, multitasking is difficult, but children develop this ability with practice. They also develop superior hand-eye coordination. Children with superior multitasking ability are able to work faster and this gives them an advantage with academic work. As a result, they perform better at school. Research shows that playing music increases brain activity and improves brain function. This is due to the formation of new neural connections. Learning music thus improves memory, attention span and the ability to think creatively. There is also evidence that children who study music before the age of twelve develop an enhanced part of the brain that controls language functions. Studies show that people who learn music at an early age are able to learn new languages quickly and have a larger vocabulary. Music thus improves language skills in children and these benefits continue into adulthood. This could be due to increased brain activity as a result of learning music. People who learn music are able to make better sense of sound patterns and this probably helps them in separating speech from background noise. Research shows that most musicians are good at comprehending speech in a noisy background. Learning music also improves the ability to listen carefully. Most children with learning difficulties have trouble comprehending speech in a noisy environment. Learning music appears to strengthen certain nerve pathways that are often weak in these children. Children who have trouble learning thus benefit more from the improved auditory abilities that music provides. Learning to play the piano is helpful for everyone. Starting early is definitely an advantage, but it’s never too late to start. Taking piano classes and practicing regularly helps children become brighter students. They also acquire important personality benefits and life skills that are essential for success.